The wash bag I currently use is from Boots. I've had it for a few years now so it's no longer on their website. It's plain black, nylon, and almost fits everything - sometimes it's a tough job zipping it up. However, the criteria it does not fulfill is that things don't fit neatly. It's basically a black hole. Things go in, but who knows if they'll come out again. I have to constantly empty it all out to find anything. 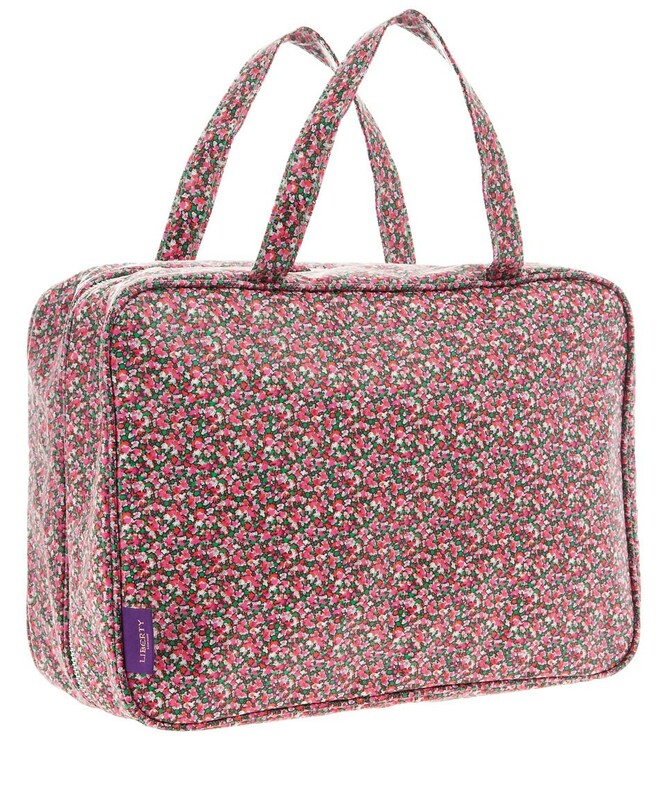 I've long been coveting my friend's Liberty Print Tana Wash Bag, not only is it Liberty Print, which is always a winner, but it fits everything neatly. Imagine my excitement when I realised Liberty ship to Hong Kong. However, this excitement was short lived when I realised shipping was £25 taking the total cost of the Tana Wash Bag to = £70 which equates to just under $900 HKD. As lovely as it is, and as much as I want it, I couldn't justify spending that on a wash bag; something that essentially just holds my toothpaste and bodylotion. 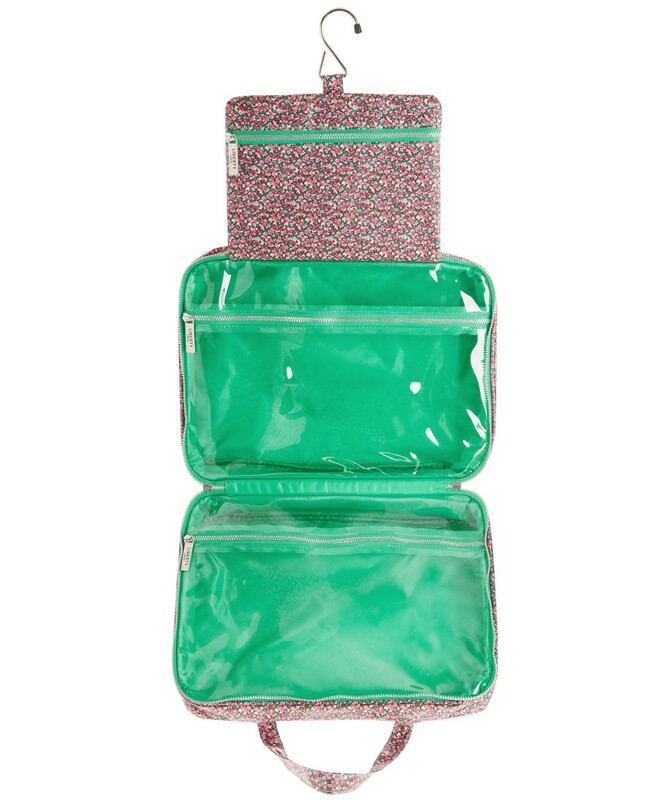 Anyway, thank goodness for the internet as I was able to search for wash bags of this style. The layout and storage of the products is one of the things I like most. After about 10 mins of googling, I came across the Kingswood by Cath Kidston - similar layout, both floral, and only 3cm size difference between the two. I thought that this could be one to try out. 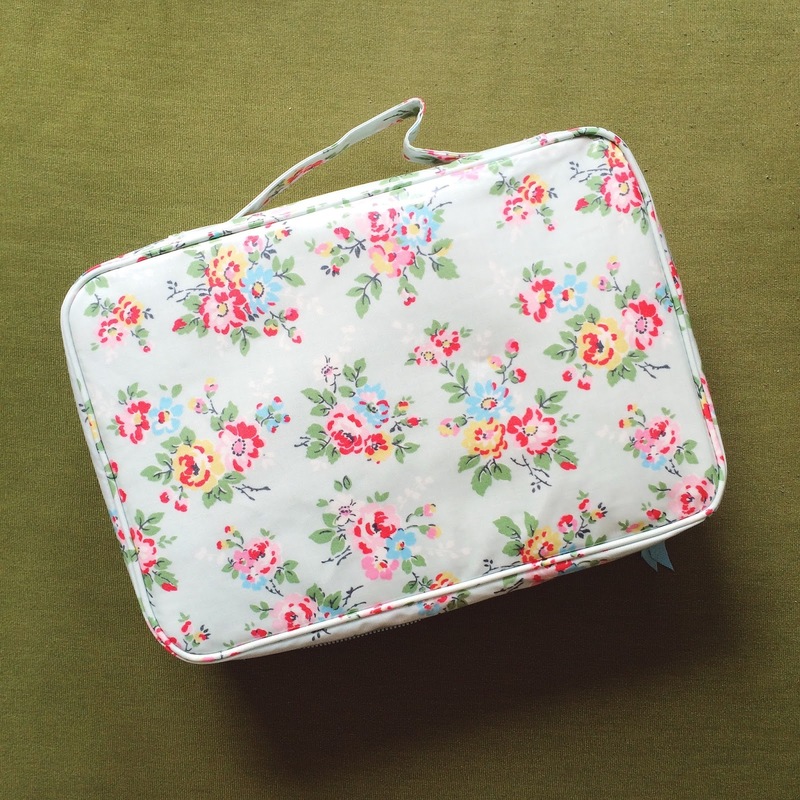 PLUS, there's a Cath Kidston store in Hong Kong, so no shipping needed. 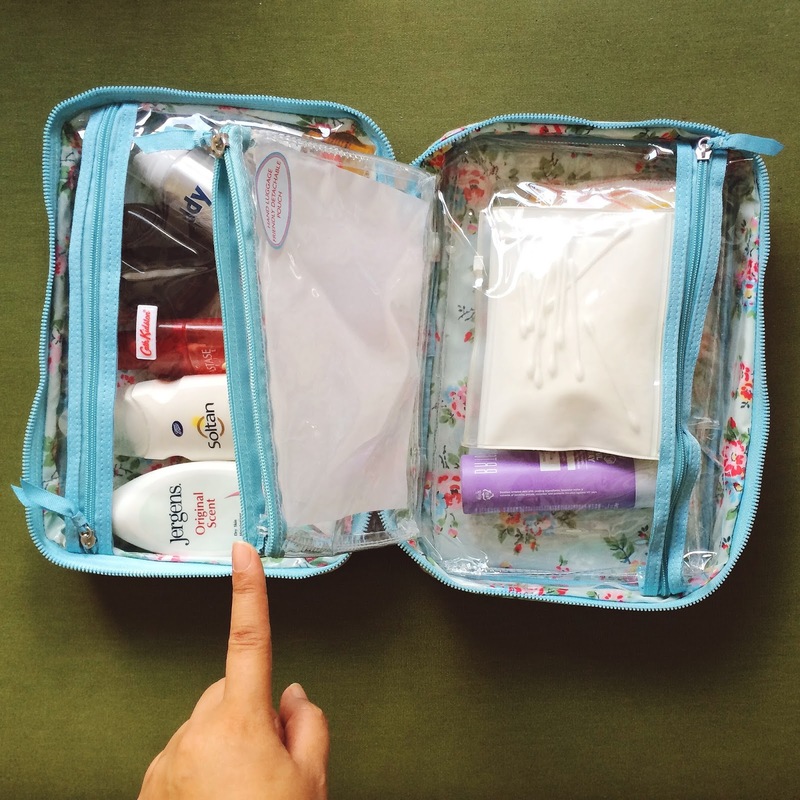 It has 1 x large fixed zipped section, 1 x large removable zipped section, 1 x smaller detachable zipped pouch that you could use for your handcarry 100ml toiletries (see picture at beginning of this post). There you have it, my new wash bag that's coming with me. 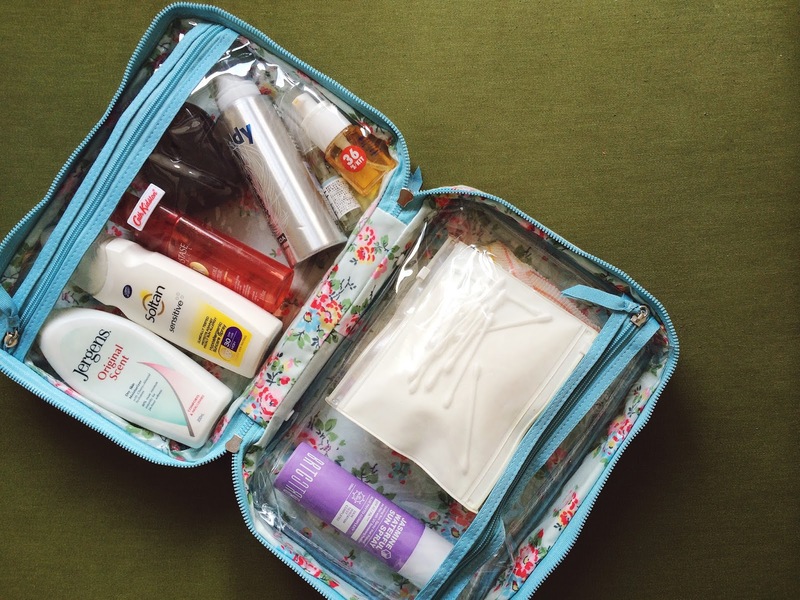 Most of my toiletries are decanted into small bottles to comply with the 100ml rule, so I don't have many big toiletries to bring, but even if I did I reckon this would be able to fit it all. 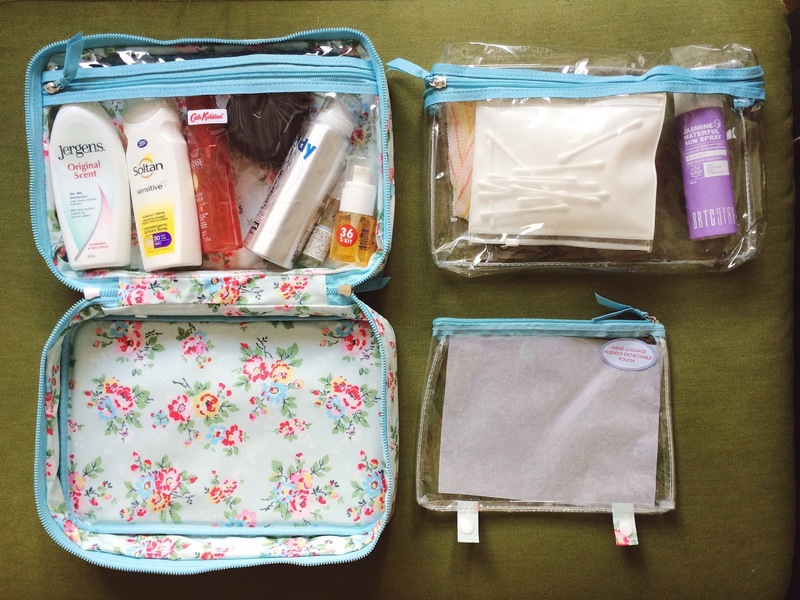 Do you have a favourite wash bag or method of packing your toiletries so its travel friendly? Let me know!